It is possible to start LUCI Studio on USB several times simultaneously on the same PC with different settings. 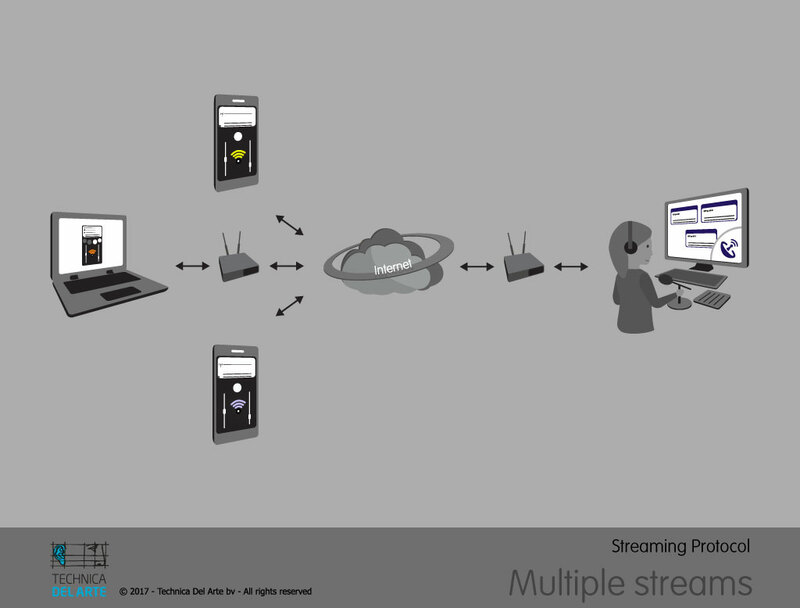 Then there are multiple so-called “instances” of LUCI Studio running which enables you to receive multiple streams simultaneously. To accomplish this do the following. Start LUCI Studio Set Up. from your USB Drive. Switch On “Allow multiple instances” and “Server View” in the Options page. If you do not see the correct number of Licenced instances you have, then re-register on the register page ( fill in name / email, license code is already filled in ). Switch Off “Profile as window title” in the Options page. Edit the setup further in accordance with your requirements for instance 1 make sure that everything works for that stream. Run Luci Studio to make sure everything works fine for the 1e instance. copy the whole “LUCI Studio” directory on the USB disk to a “LUCI Studio-2” directory on the same USB disk. 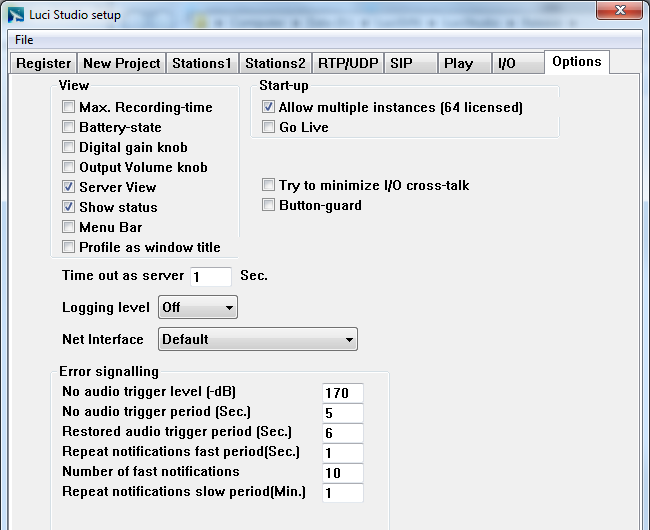 use “Luci Studio-2/Luci Studio Set Up.exe ” to set Different “Station 1 Server port number (5012..)” and Audio I/O for 2nd stream. etc… Repeat for all instances you purchased. Optionally you can create shortcuts to all the different “Luci Studio.exe” either on your desktop or on the USB disk. Use different server ports for the different instances. Use a different audio I/O for each instance. If you are using ASIO please be sure that the driver supports Multiclient ASIO to be able to open de audio channels with different applications. When you use SIP, set a different RTP port for SIP in the RTP/UDP-page. To edit a setup file, right-click on the .sup file and choose “Edit” from the Windows Shell menu. NOTE: It’s only possible to run LUCI Studio on USB on a special USB drive, available at our shop.